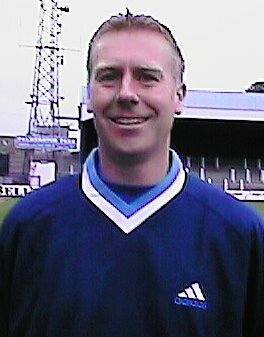 Ian Scott took the reigns on his own for this season following the departure of John Connolly, and it proved to be our most successful yet as we finished 4th in the First Division. But there was a nagging doubt that this was a false dawn, Queens had actually played pretty poorly at times and were actually only 3 points away from finishing 8th. On paper, 4th place in the First Division looked a brilliant end to Ian Scott's first season in sole charge, and let's be honest, it was. But the cracks were beginning to show already, and until the last few weeks we were far more bothered about avoiding relegation than setting new records for finishing league position. In the cup, Ian McCall brought his Dundee United to Palmerston under great pressure and really exposed our weakness with a 3-0 victory which flattered us.